Your Audi is a complex machine, made up of thousands of smaller pieces working together to create a seamlessly functioning finished product. 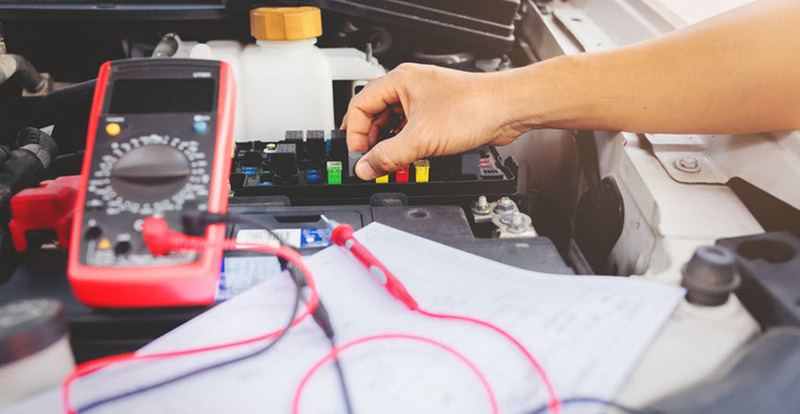 As an integral part of that finished product, your car’s electrical system is what provides power to multiple systems of your vehicle, and without these electrical connections your Audi would seize to operate at all. Your Audi’s electrical system is another element of your vehicle that requires ongoing attention and care in order to perform optimally and consistently. With the right help, your Audi’s electrical system should never run into issues. In this article, we’ll go over the importance of the electrical system in your car and how to maintain it appropriately. Each day we get into our vehicles, turn the key, and don’t hesitate by wondering whether it will start or not. Each day we turn on our car radio, anticipating hearing the morning traffic report. We turn on our headlights and expect that the road in front of us will be well lit. Rarely do we stop and think about what components in our vehicles make this entirely possible. The answer is your car’s electrical connections. Like the woven fabric that makes the perfect sweater, your car’s electrical system perfectly weaves and connects the main components of your vehicle so that they can form a perfect whole. Without the electrical connections in your Audi, it wouldn’t be nearly as luxurious, effective, and impressive. This component is, obviously, essential for starting your car. Powered by the battery, the starter is what provides enough electrical current to generate a spark and follow through with the ignition process. Since the starter requires a huge surge of power to work properly, when starting your car, it’s best to be sure your headlights, cabin lights, radio, and other electrical functions are turned off to avoid overwhelming the starting process. The battery is one of the main electrical components that can encounter premature wear due to weather conditions, water damage, rust, corrosion, and other elements that render the electrical connections useless. The battery provides the starter with enough power to, well, start; however, it also provides power to headlights, alarms, the ignition, and other essential functions. As your car uses up the energy the battery delivers, something must be powering the battery. This is where the alternator comes in. When the engine is running, the alternator provides power to the battery so it can continue to power the other functions of the vehicle. That’s why it is a frequent occurrence to find a malfunctioning alternator behind a “dead” battery issue. By following these recommended tips, and with the help of Escondido German Auto, your Audi’s electrical components and systems will remain in good health all year round. The residents of Rancho Bernardo, Valley Center, and Escondido, CA, have trusted us for our honesty, expertise, and accommodation over the years – which include our warranties and guarantees on our work. To learn more about our shop or to schedule an inspection of your electrical components, please call us today. 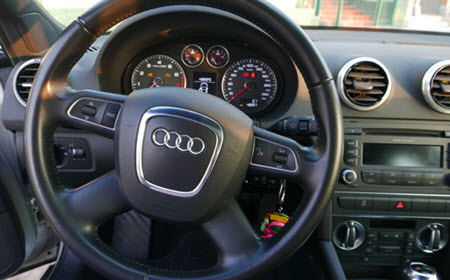 * Audi A3 Interior image credit goes to: ManuelGonzalezOlaecheaFranco.